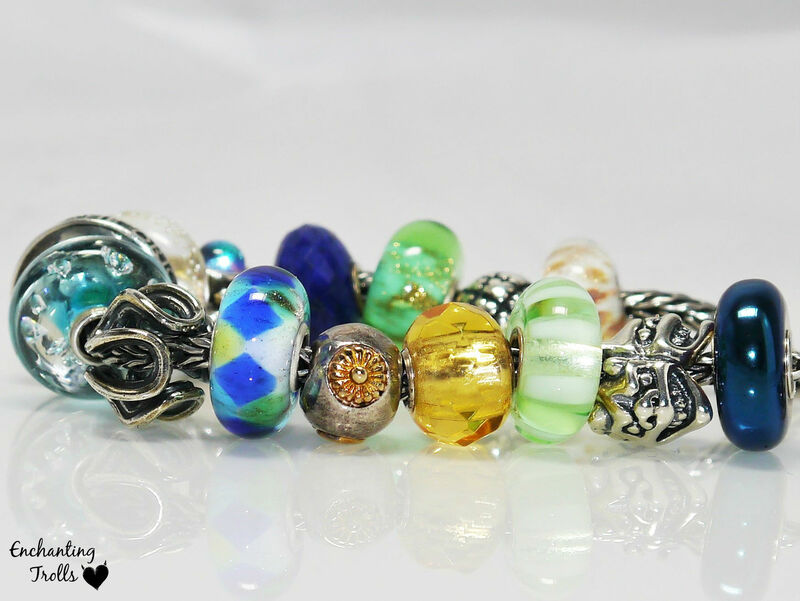 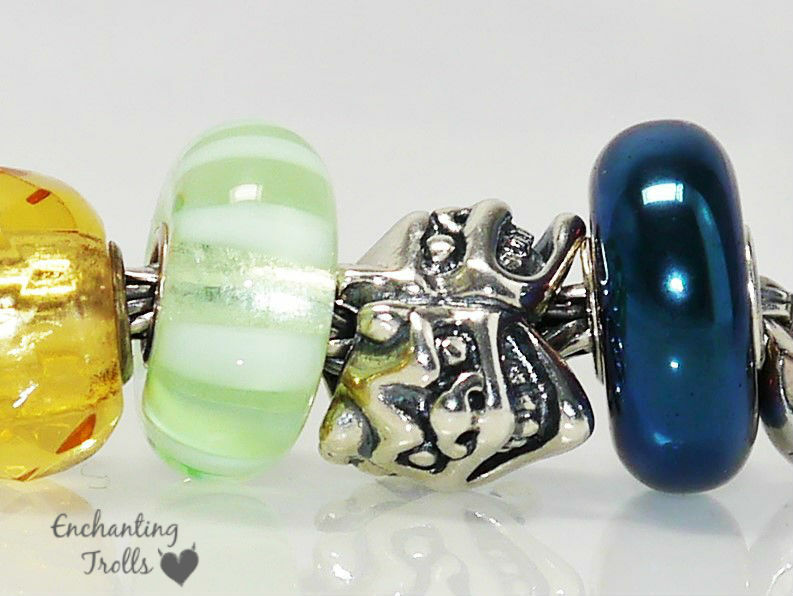 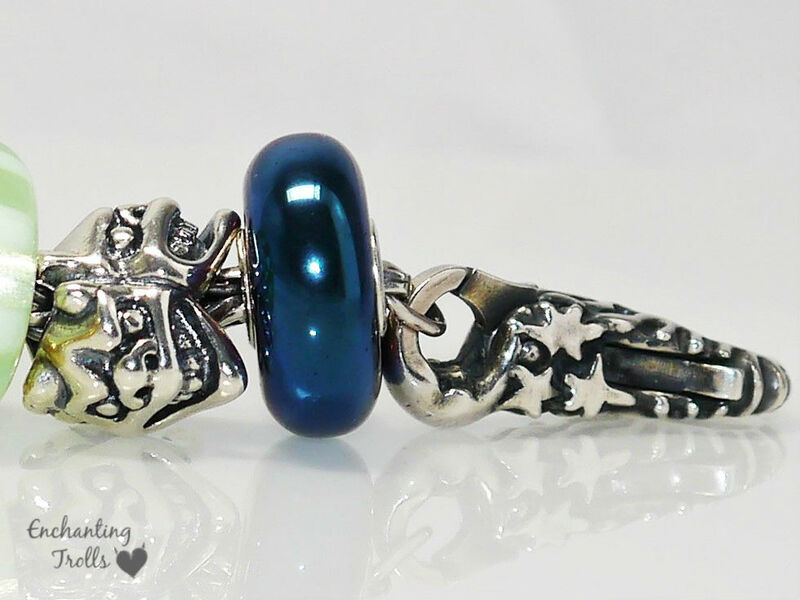 Today’s post brings details of a new Limited Edition Trollbead, ‘Festeggiamo’. 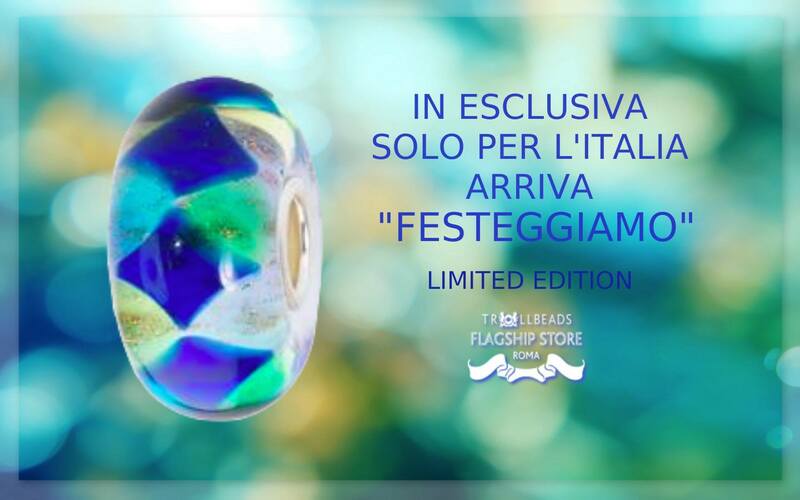 Limited to Italian retailers at present, this bead currently appears to be available in store only, and not online. 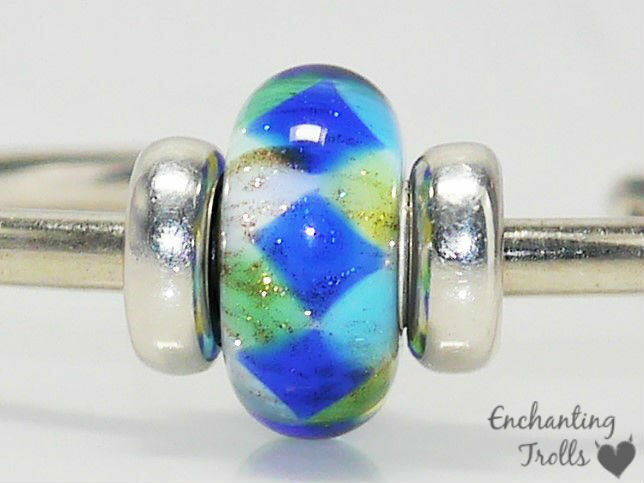 It has been confirmed that this bead will be available in other regions from March onwards by the name of Trollbeads ‘Party Time’ bead. 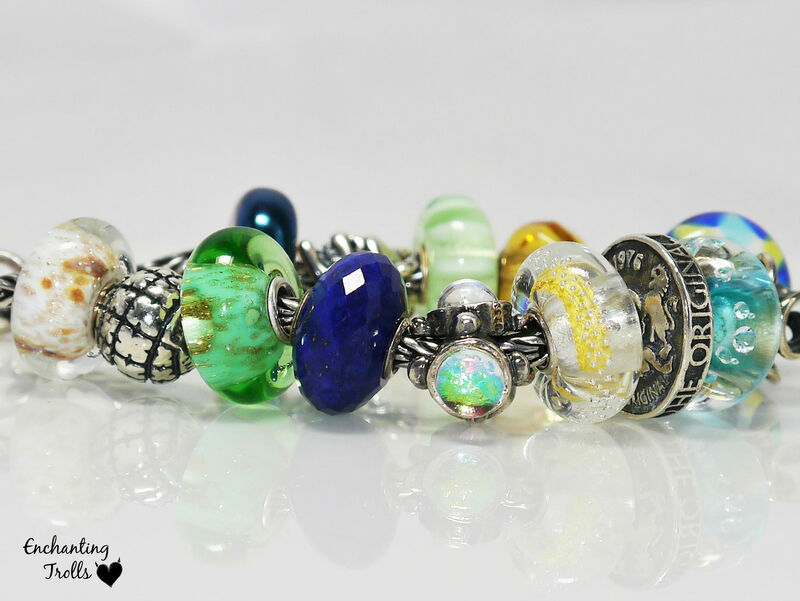 Currently, the only release date available is for the US on March 2nd. 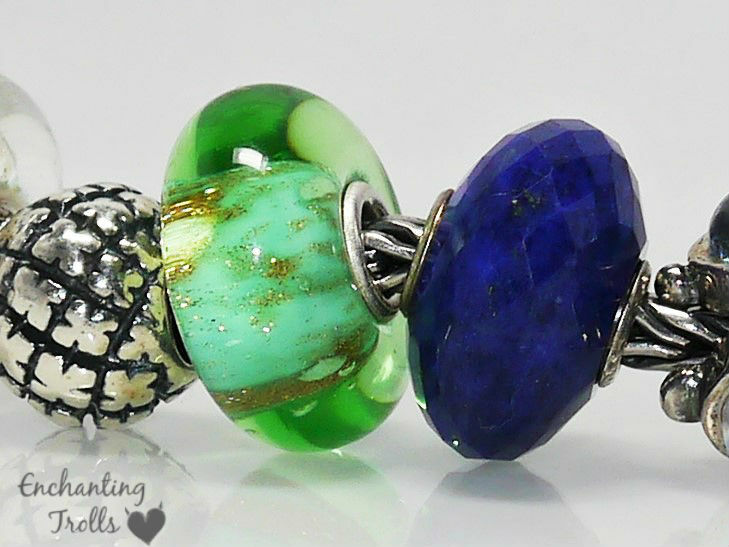 The bead will retail at $34 which puts it in the standard glass price bracket (€31 / £25). 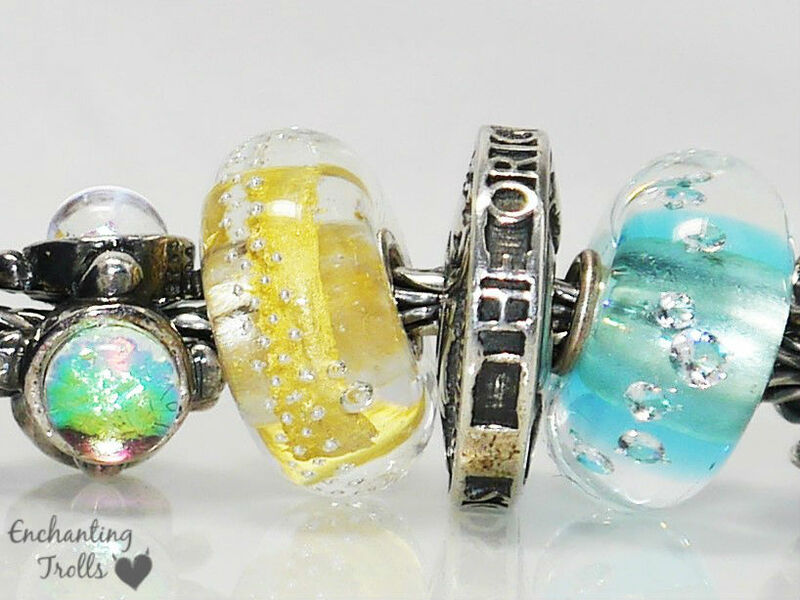 The following pictures are from the Trollbeads Flagship Store Roma’s Facebook page … please do not reproduce without crediting. 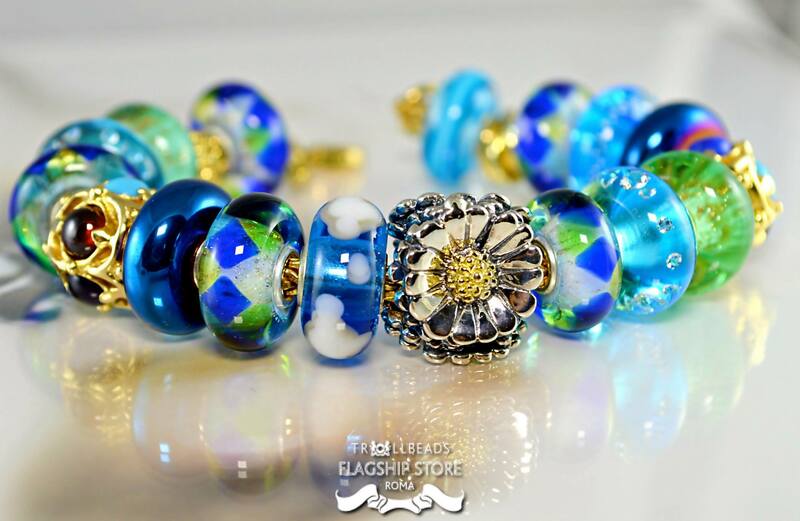 The bead features a vibrant blue harlequin surface pattern on a copper glittered core featuring white, yellow, turquoise and green. 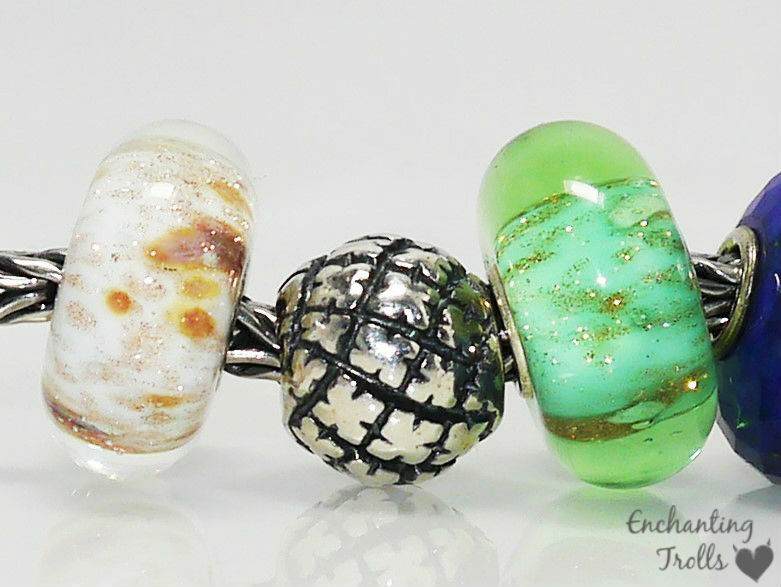 I normally prefer pastel colour schemes, however there is something that draws me to this bead. 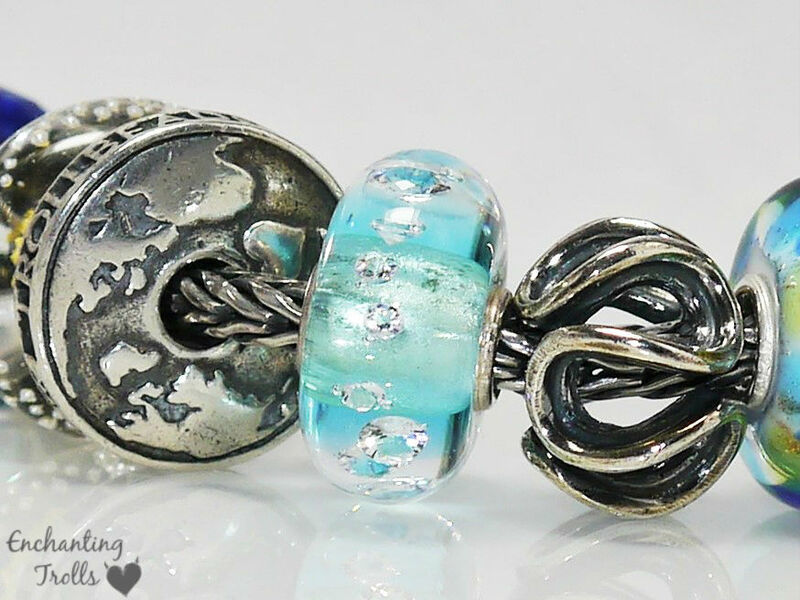 This bead works well with Aqua kit beads from this year’s spring collection, and I also envisage it looking great with the Scirocco bead from last years spring collection and the Northern Forest Kit beads from last years fall collection. 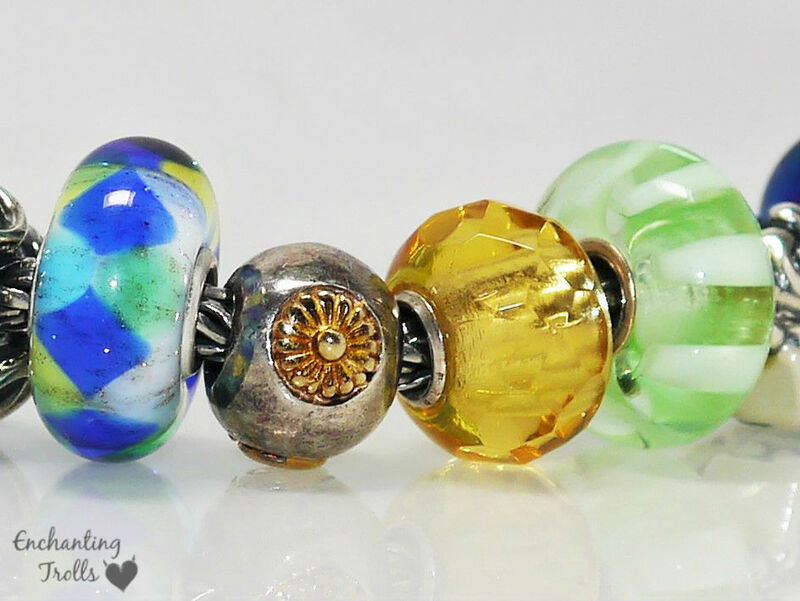 At present, I am unclear whether this bead follows the line of the Armadillos and Daydream Blossom from the US at the end of 2013, or the Limited Edition Country Specific beads from last year (Ageless Beauty, Wings of Freedom). 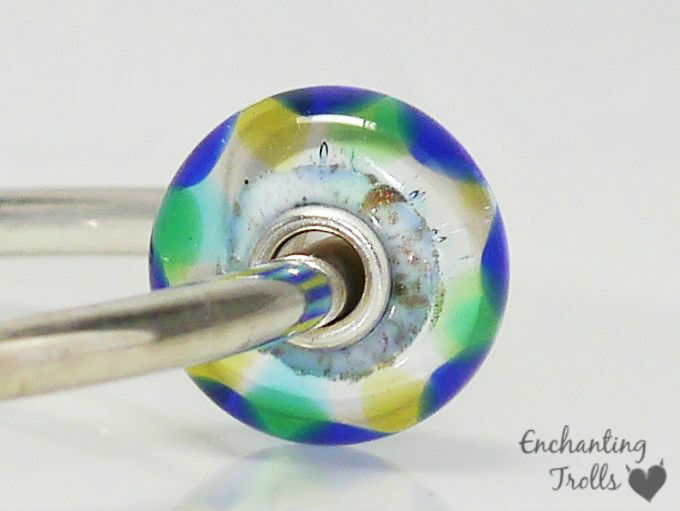 UPDATE: This bead has a product code of IT61114, which would suggest it is indeed the next bead in the country specific line. 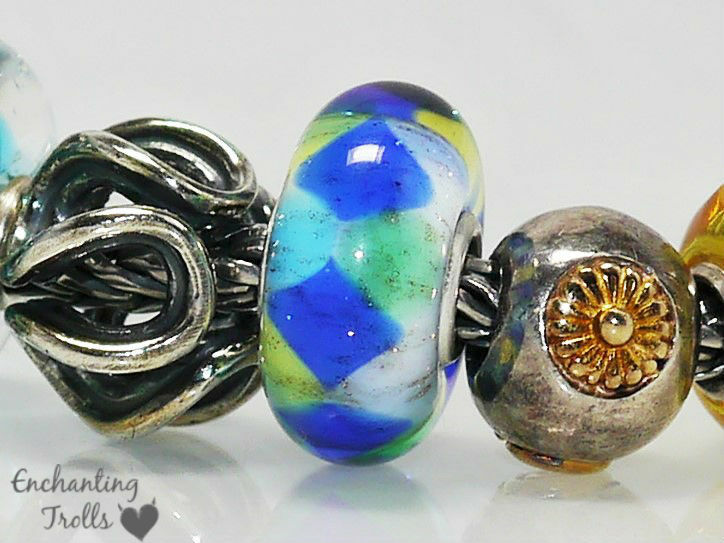 Either way, it is likely that this lively bead will be available in most regions in the near future.